2017 APHA Grullo Tobinao Colt “CP Dun It Strait” born April 19th @ 5:30am. 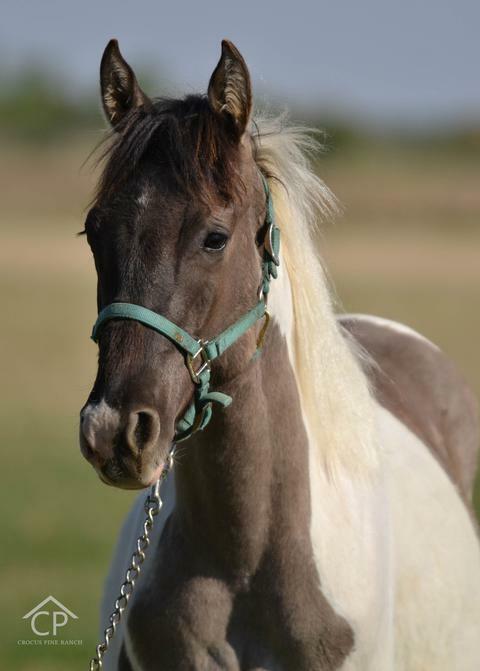 This handsome boy is out of APHA Grullo Tobiano mare Dun It For Dawn and sired By APHA Strait Starbuck Robin - Reining and Working Cowhorse,1 Reining point, Offspring are being trained and shown in Reining and Working Cowhorse as well, with 2 doing trick riding. 5 panel (GBED/HYPP/Herda/MH/PSSM1) N/N. Color tested TT/EE/n/SW1. 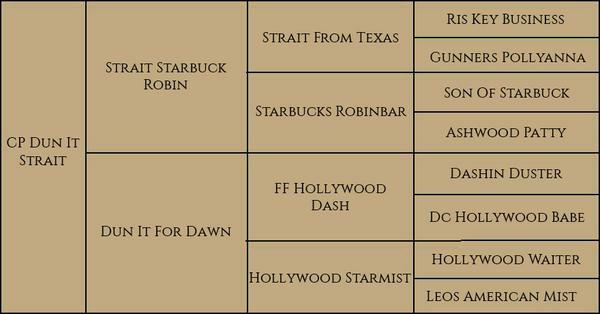 Strait is by NRCHA,APHA Money earner. 4x World Champion & 4x Reserve World Champion Strait From Texas who is by Ris Key Business (NRHA money earner) Strait also boasts great horses such as Happiness Is (Champion Reining horse) and Hollywood Smoke (ROM Performance, NRHA Hall of Fame).